My dual wick candles burn on both sides and therefore more evenly avoiding welling in the candle and wax residue left on the sides. This makes for a cleaner burn, better efficiency and better value for money. The dual wick also gives double the ambiance and releases double the fragrance. 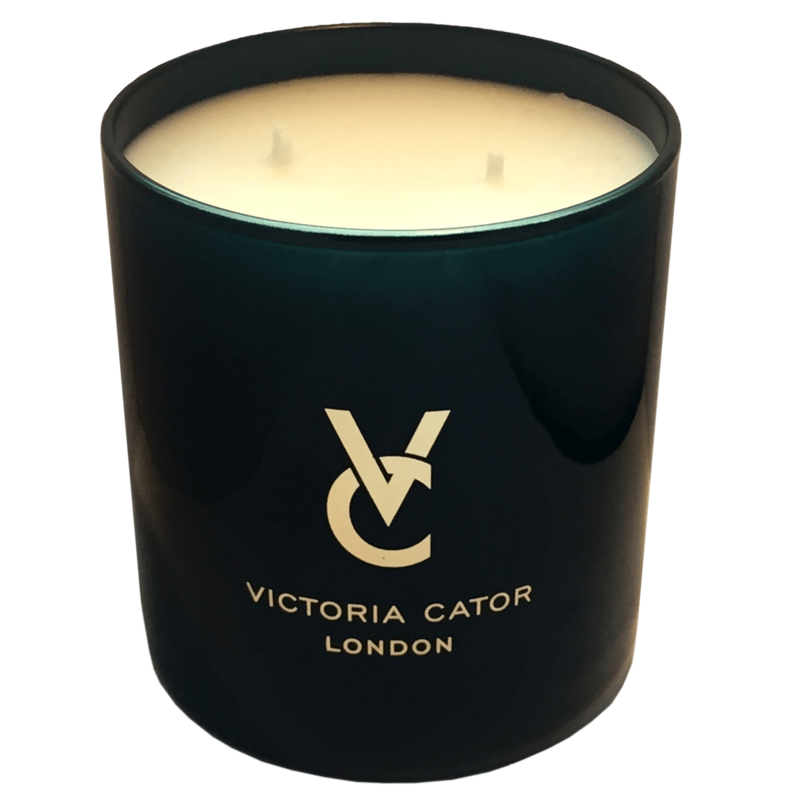 A special blend of wax to maximise exceptional olfactory and burning quality, leaving no wax residue and no black soot. In order to get most out of your candle, burn it until the entire surface of the candle melts. To preserve the fragrance, do not burn your candle for more than 3 hours straight during the first third of the candle and 1 to 2 hours during the remaining. Keep away from drafts. Keep away from children, curtains and pets. Should the wick require centering, gently readjust to correct position when the wax is still molten. Allow the candle to solidify before relighting. Should any black smoke appear, trim the wicks, which should be clean and no longer than 6mm at all times. Always protect the table or surface on which candle is set (with a coaster or a plate, for example). Do not burn your candle all the way down. Always leave at least 5mm of non-molten wax at the bottom.